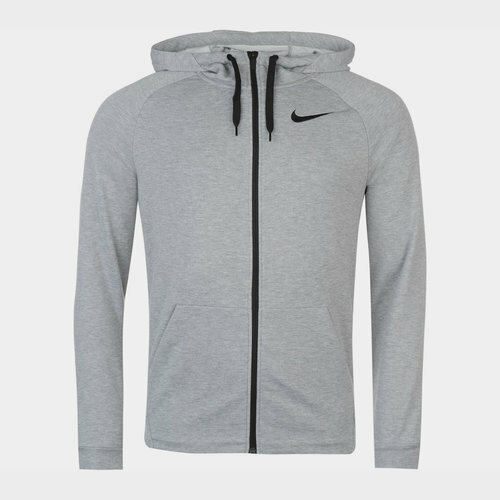 Be the envy of everyone when you showcase your style in this Nike Dry Zip Mens Hoody in Grey. Stay warm with this Nike Dry Zip Hoody, crafted with a lightweight material, a full zip fastening and two open hand pockets. To the top is a tie fastening for a snug fit and DriFit technology is integrated to wick sweat away from the body. Nike branding sits to the chest.